Dreamy features include the working elevator with room for 4 dolls, a new home office, a carport and a second-story pool with a slide that starts on the third story -- fill it with water for a real splash! What Barbie Dreamhouse Black Friday Discounts are We Predicting for 2018? 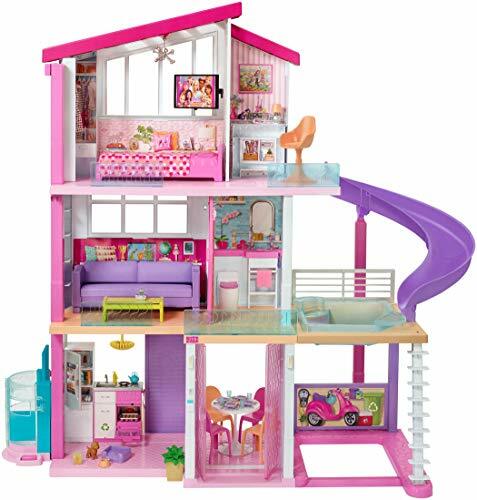 The Barbie Dreamhouse was a hit toy last year, being one of the most demanded christmas toys. Since then, a second model has been released in the summer of 2018 and we think this is likely to be equally as popular. But what Black Friday Barbie Dreamhouse discounts are we expecting to see? This will all depend on the model. The older dreamhouse has experienced discounts of up to 35% in the past, so we think deals on Black Friday and Cyber Monday could be around this mark. Given how new the most recent Barbie Dreamhouse model is, there is not much data on which to make a prediction. There haven’t yet been any sales periods so we will just have to wait and hope for some Barbie Dreamhouse Black Friday/Cyber Monday deal news! We will be posting any updates we find right here. What’s The Barbie Dreamhouse All About? What’s New in the 2018 Model? The Barbie Dreamhouse is a 3 story, seven-bedroom house with a working elevator, a pool, and more than 70 accessories. This modern version of the Barbie Dreamhouse even comes with a fold-out section to add your smartphone (sold separately) to create a “flat screen” TV* so that you can relax watching your favorite content, and ‘smart features’ like a toilet and sink which make sounds when activated. Other really cool features include fish tank which makes bubble sounds when plugged in and a garage door which flips open and closed. The garage can be used for Barbie’s car – which is sold separately – or you can get creative and make it into a games room! 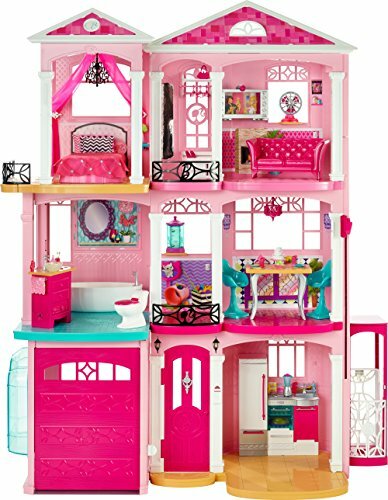 The latest Barbie Dreamhouse was released in the summer of 2018 and features and updated design and feel. The basic concept is still the same – it’s a 3ft tall, 4ft wide Barbie dolls house, but the furniture inside is more contemporary and stylish. It looks more realistic and less plasticy, plus the color scheme is a little less ‘in your face pink’, with more purple and baby blue used. Additional features on this latest model include an awesome slide coming off the side leading into a pool that can be filled with water, and a redesigned working elevator! It’s also really versatile with lot’s to discover. For example, the couch pops up into a bunk bed and coffee table flips over into another bed – great for slumber parties. The fireplace also spins around to convert a home office into a den! The Barbie Dreamhouse is predicted to be one of the top 100 toys last year, so we think there’s a good chance for Barbie Dreamhouse Black Friday deals to crop up. If you are looking to buy Barbie Dreamhouse as a gift and you don’t want them to guess what it is before opening the box, then consider getting the ‘special packaging’ option which comes with minimal markings on the box in order to preserve the surprise. Haven’t found one sale yet …..I’m really hoping Amazon is going to be the player on this …As of right now Toy r us , Target and Walmart show no Barbie Dreamhouse’s in their Black Friday ads…….